This page contains announcements of featured postings of new photos and albums of our products. Subscribe to this page and you will always be kept updated about latest postings on this page. To subscribe to this page click "Subscribe to posts" link below, copy the link and post it into your favorite RSS reader. Any shape, any size, any color. 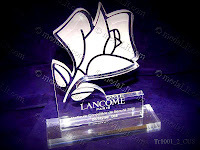 Our “Custom Made Acrylic” (Plexiglass) trophies are made of acrylic sheets, they may take various shapes and sizes, you can either give us your own design specifications or we can depend on your own guidelines to come up with a design that suits your taste and need. 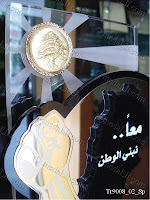 There are many different ways to implement designs onto your trophy, for instance you can choose to engrave designs, sandblast parts or you can even choose to mount a medal or a plaque on it. Click here to view photos of this album.